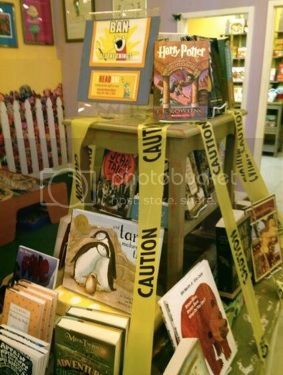 I love this display for Banned Books Week, at one of my favorite independent book stores, Little Shop of Stories. The "caution" tape is de rigueur but the BAN ALL THE THINGS! cartoon really makes this display stand out to me. Love it!